Bay leaves have been used in culinary dishes from all over the word to give the tasty dish a “little zing” since ancient times. 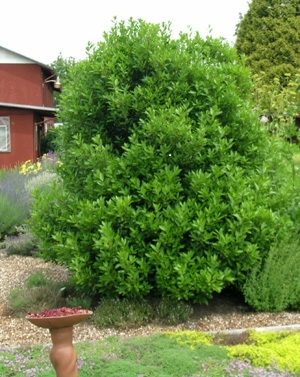 The bay tree belongs to the family of Laurraceane of the genus Laurus nobilis. It is thought to originate from Asia Minor, but spread all over the Mediterranean and Asia during earlier times. The bay plant is a conical evergreen tree growing to 30 feet in height. Yellow or greenish white, star shaped flowers appear during early spring, which subsequently produce dark green-purplish single seeded berry. The leaves are eliptic and shiny dark green about 3 to 4 inches long, rather thick and leathery. The leaves give off a sweet aroma when broken and added to a dish or your flour container to keep it fresh. 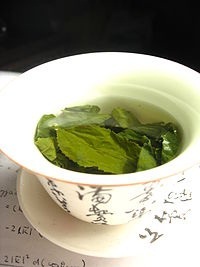 When slightly wilted and dried, they are strongly aromatic. The dried fruit is also used as a flavoring agent in cuisines. regenerator as it nurtures your body back to health I personally recommend the following Dr. Hildy™ recipe. Add 8 bay leaves to 4 quarts of water (spaghetti pot size to hold the water). Bring to a boil, and then set to a side, off the burner. Let steep 15 minutes or longer. Pour into a pitcher as it cools down and keep in the refrigerator. Serve as a refreshing drink. After drinking two glasses (approximately 10- to 12 ounces each) you may experience its detoxifying effects as it cleans out the nervous system of the lymph glands and CNS. You will feel it strip the toxic build up away. 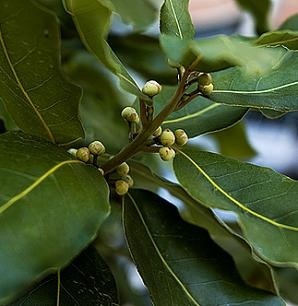 In cases where an individual may have been exposed to aromatic solvents, organophosphates/carbamates and silanes/siloxanes the bay leaf water will clean out the spinal cord and 350 glands within the individuals head. You may experience a sweating from the crown of your head to the tip of your spine. Quite refreshing and invigorating as the more you clean this target organ system. · Bay leaf was highly praised by the Greeks and the Romans, who thought that the herb was symbolic of wisdom, peace and protection. · The spice contains many notable plant derived compounds, minerals and vitamins that are essential for optimum health, detox and cellular regeneration.